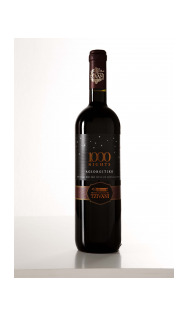 From the multi complex Greek variety of Agiorgitiko, we offer you an organic wine which encapsulates special characteristics of the local microclimate. Oak aged for 12 months, with a deep purple colour, exciting aromas of vanilla and a rich taste of mature black fruits, offering a truly characteristic finish. Enjoy it at 16 - 18o C with Mediterranean gastronomy "red" dishes. Recommended for ageing.